NORTH AMERICAN RE-ISSUE: ORDER NOW! 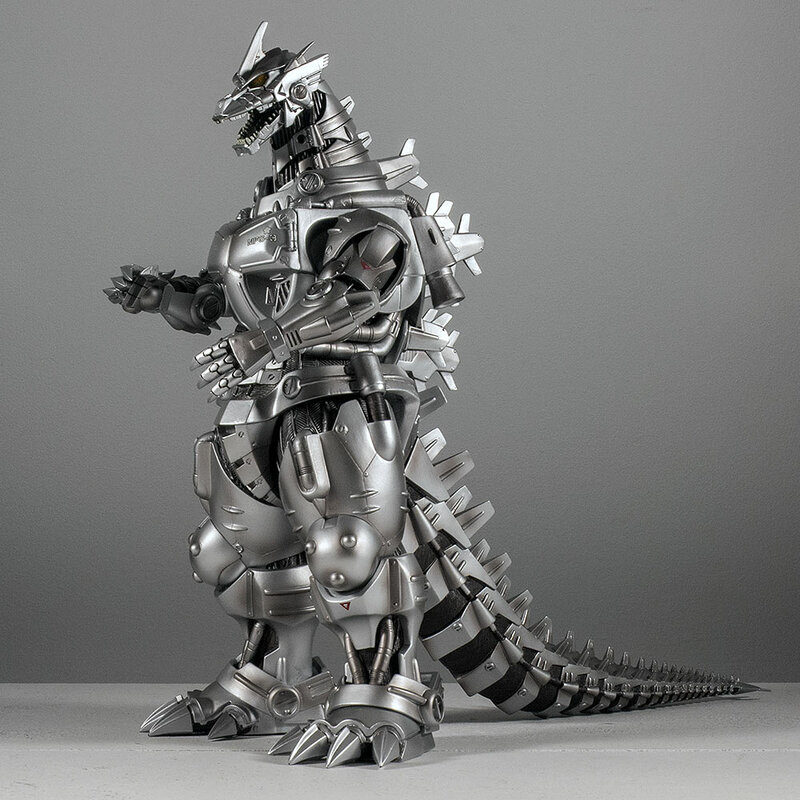 Feast your eyes on one of X-Plus’ rare excursions beyond the Showa era. This figure is getting released yet again, this time as a Re-issue for North American collectors! The price is $160 which is ridiculously reasonable considering how high the prices have soared in the aftermarket. 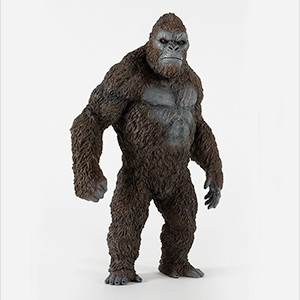 You can pre-order this figure in the U.S. and Canada from your local comic shop or online retailer beginning January 22, 2014. If your comic retailer doesn’t know about them, just tell them that they come from Previews/Diamond Distributors. 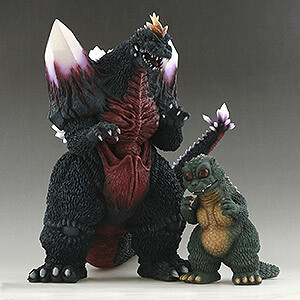 This figure is expected to ship in July 2014. Click here for more information. 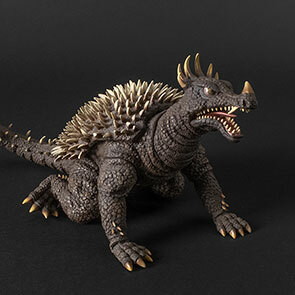 One of the first things that stand out on the Millennium Godzillas (not including 2001 and 2004) is the unique design of the dorsal spines. And they look fantastic on the X-Plus figure. Not only did they get the overall shapes right, but they’re adorned with great textures and coloring. Amazing job! Click on the photos for a larger view. The sculpt of the head is dead on from all angles. 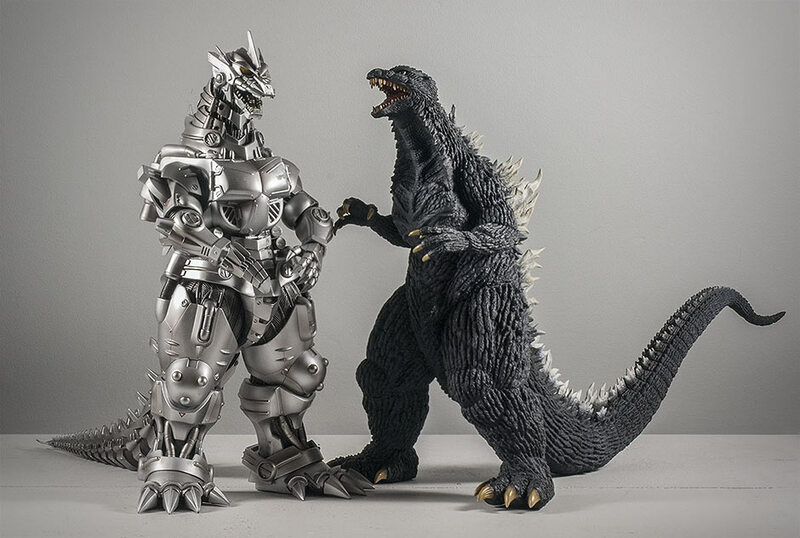 The figure’s chest sports the infamous scar received from Godzilla’s final battle with Kiryu in Godzilla Against Mechagodzilla and his close brush with the power of the Absolute Zero gun. Like Godzilla 2001, this suit has a variety of skin textures ranging from standard Godzilla “tree bark” to more reptilian patterns on the front of the neck and spiky bumps along the shoulders and back, all faithfully sculpted into the figure. 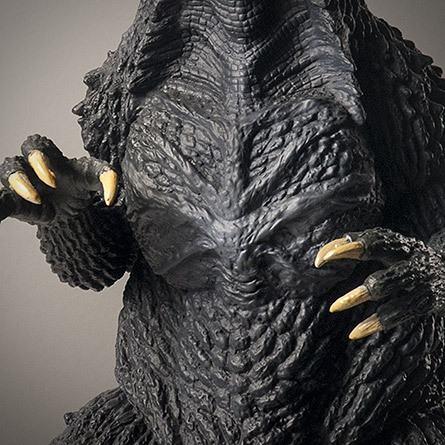 There’s so much to discover about this figure. VISIBLE SEAMS & JOINTS: Sorry to say but visible seams abound on this figure. Most obvious are lines above the elbows. You can also detect seams below the knees though they did a good job of hiding it on the left leg. There is a seam running around the neck somewhat visible from the side but invisible from the front. 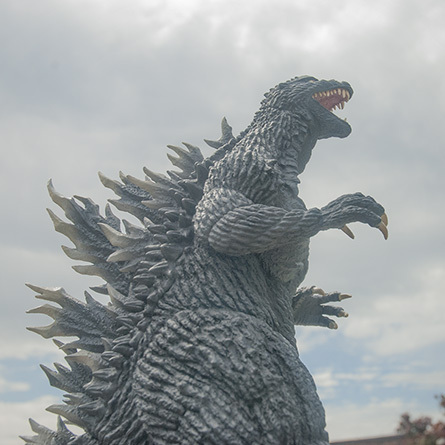 The tail joint is pretty undetectable as it’s worked into the mold, and it’s a perfect fit. There is another joint at mid-tail also well hidden. The pose is fantastic! It captures the personality of this beast perfectly. I may be wrong but this pose seems to come from the scene where he first erupted out of the water at the entertainment center/park in the preceding movie Godzilla Against Mechagodzilla. I’m sure he’s been in this position again in the 2003 movie from which he’s marketed as coming from. 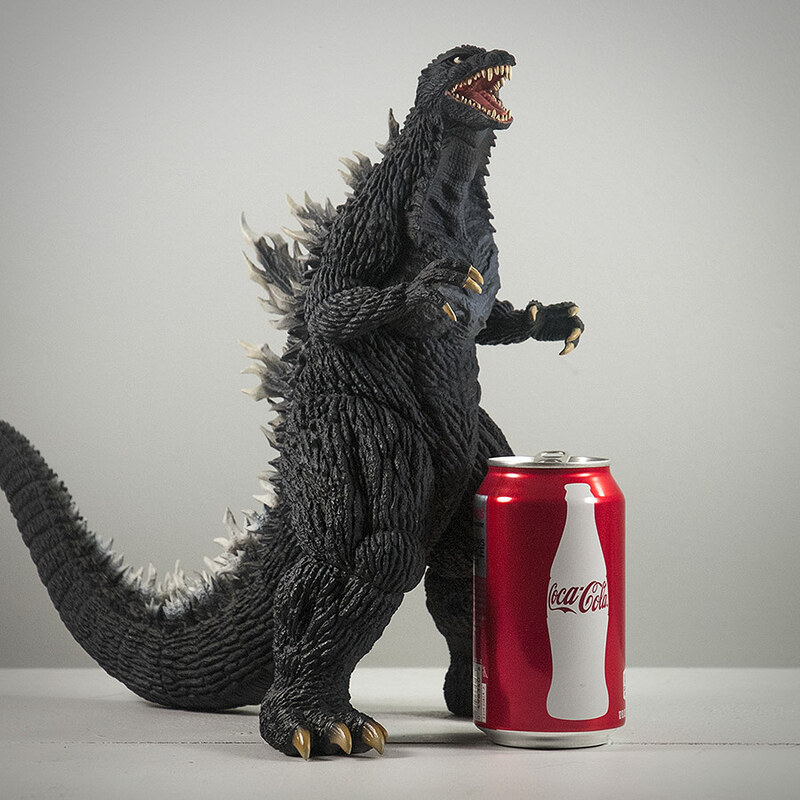 This pose seals the deal and makes this a great Millenium Godzilla figure. The base color is a mostly standard asphalt black but with a very slight bluish tinge. 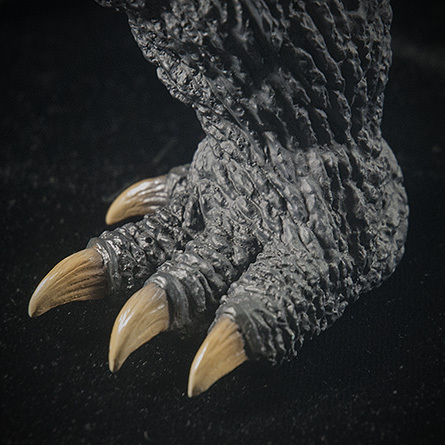 The claws are a tannish, dirty ivory with darker shading near the cuticles (more color detail than we usually get on Godzilla claws!). 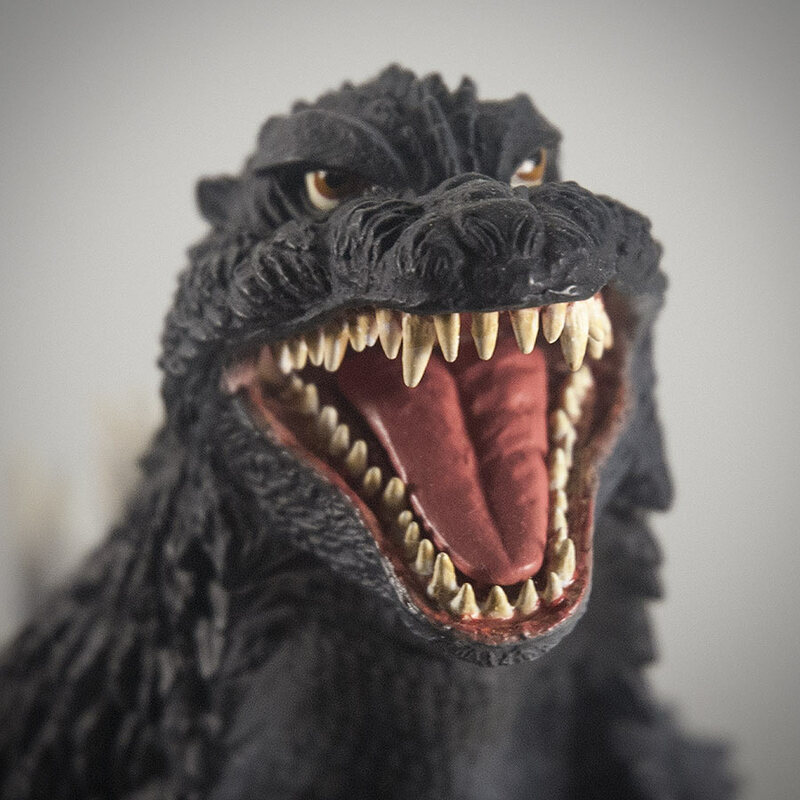 The teeth are really off white and often appear yellowish in photos. The inside of the mouth, tongue, gums are an unsaturated red very realistically done and very un-toy-like. The eyes are a dark, dirty mustard color. They are perhaps a tad darker than they should be, but seem correct when looking at them from a distance. Dorsal fins are highlighted with sprays of white and tan and they look great! One problem though is that the fins on the tail piece are a brighter white than as on the back. This may be a painting error on the specific figure that I have and you may not encounter this. 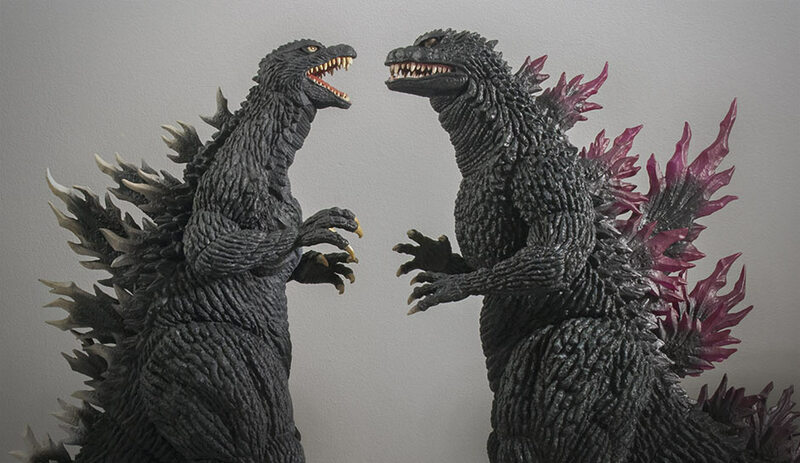 The X-Plus Godzilla 2003 scales well with it’s foe, the X-Plus Kiryu 2003. 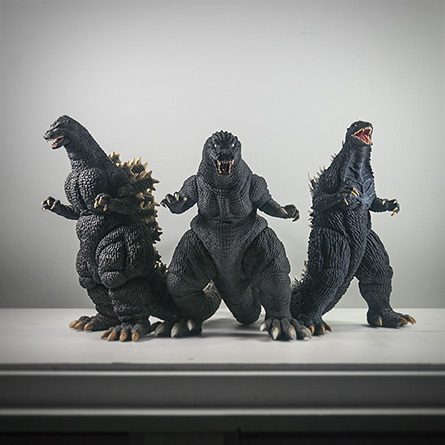 Collectors should be used to X-Plus Godzilla figures demanding a lot of room on the shelf to accommodate their long tails. 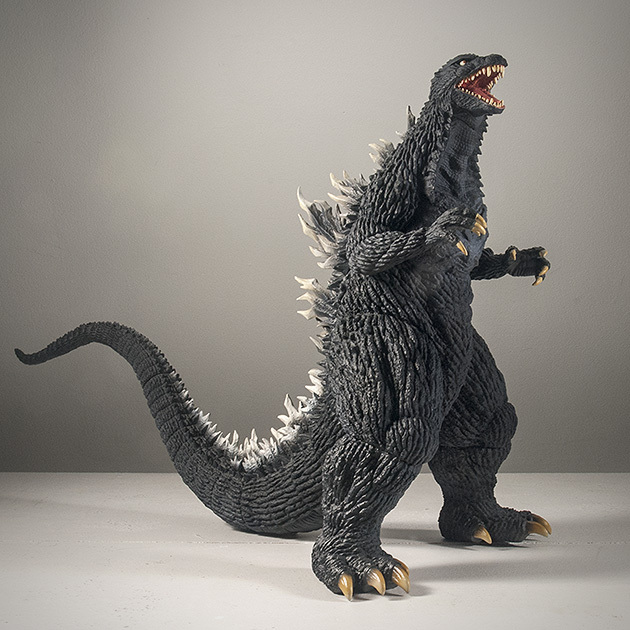 But the Godzilla 2003 vinyl has a tail which is longer than usual and goes straight back, curving only on the Y-Plane. 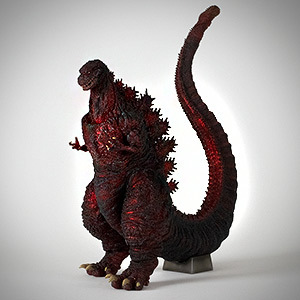 This figure is a whopping 19 inches from nose to tail! Place him carefully into your collection. The X-Plus 30cm Series Godzilla 2003 is 12 inches tall and fits in perfectly with most other 30cm-series figures. 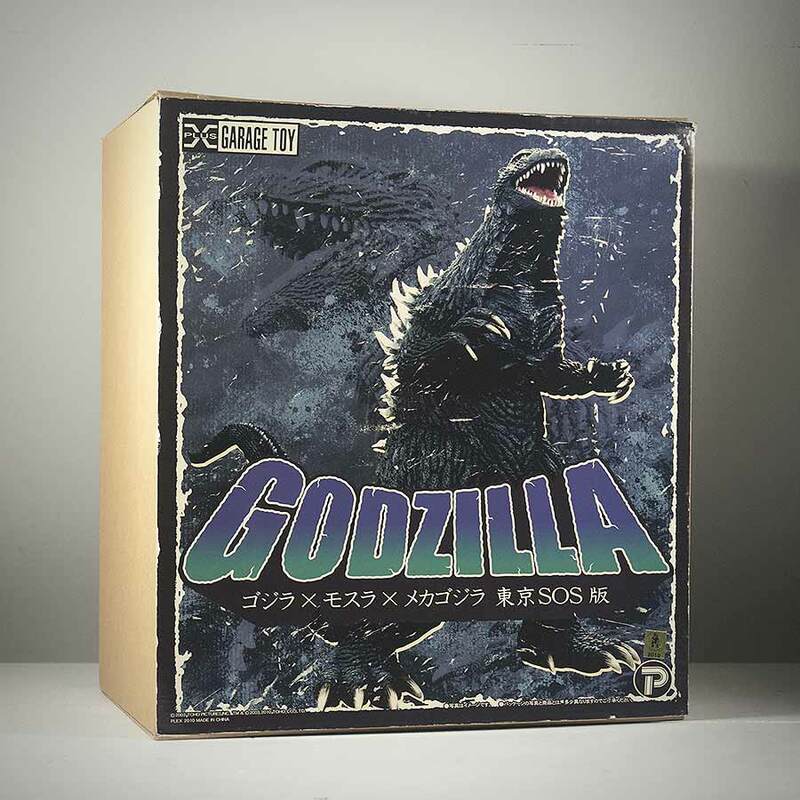 The X-Plus 30cm Godzilla 2003 comes packaged in a blind box. 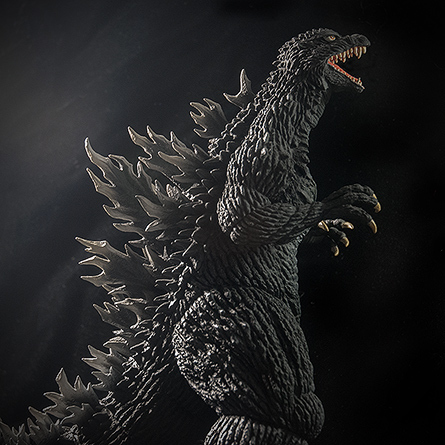 It arrives in three pieces: the main body and two tail pieces. 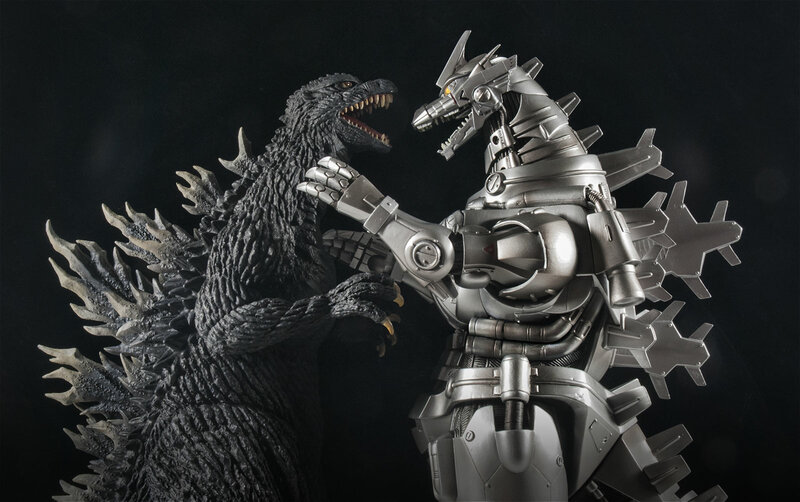 And on a final note: it looks great beside the X-Plus Kiryu 2003 released in 2013. See the link below! • Link to archived X-Plus Godzilla 2003 2010 release. • Link to X-Plus Godzilla 2003 Ric Boy 2013 Re-release. 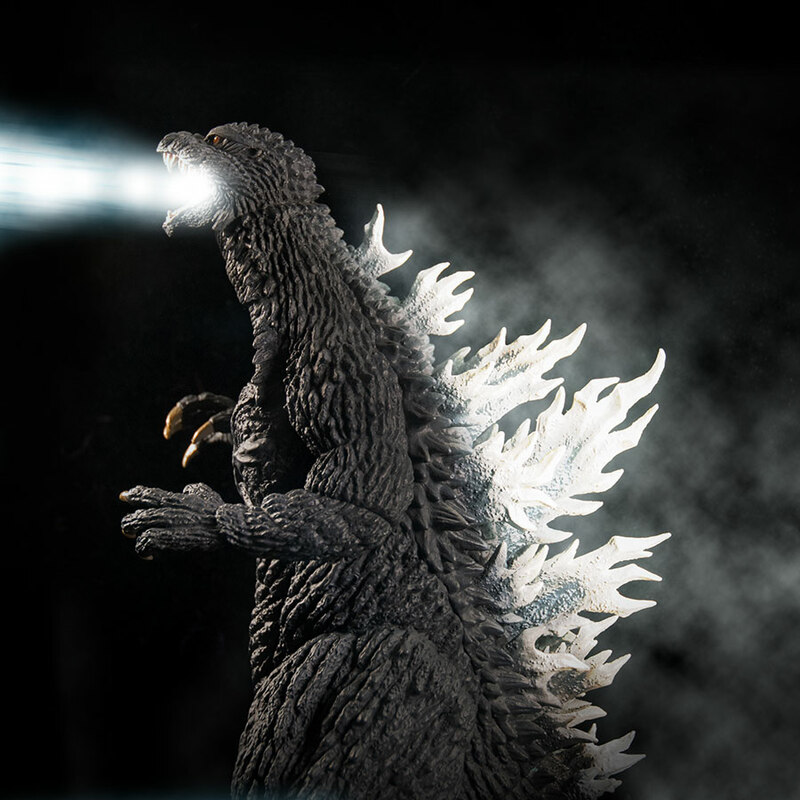 • Disk Read Error’s X-Plus Godzilla 2003 (December 2013 Re-Issue) Review. 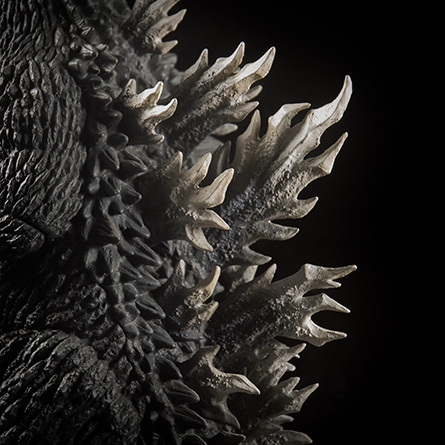 • Rich Eso’s X-Plus Godzilla 2003 Ric Boy Reissue Video Review. 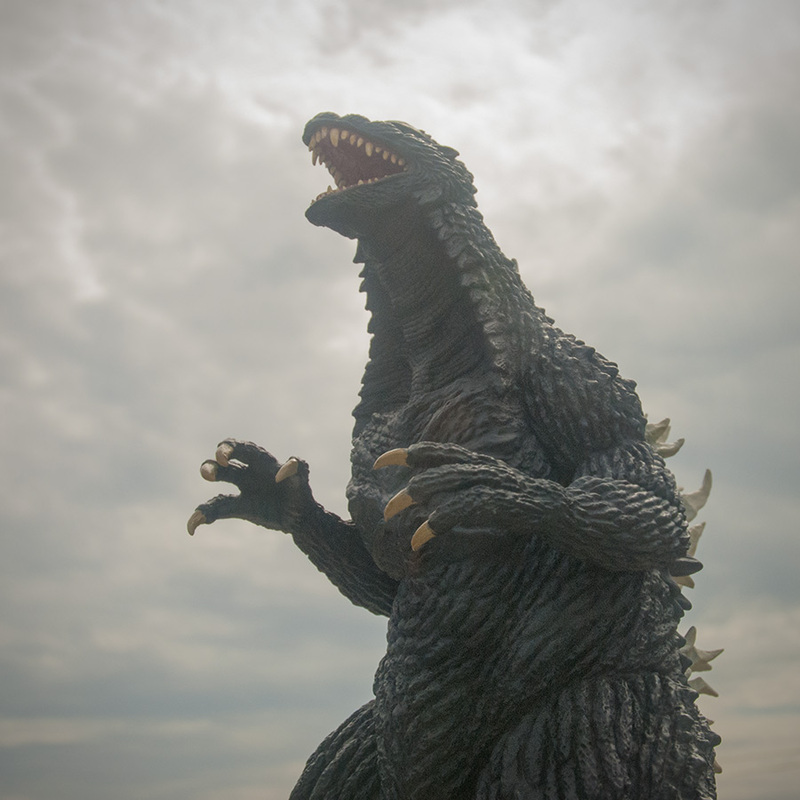 • Diego Doom’s X-Plus Godzilla 2003 Video Review. • RELATED: X-Plus Kiryu 2003 Full Review. Yet again an awesome review. This is on my list for sure when one comes up and at the right price! Great job John. Freaking AMAZING,too bad it’s hard to get now-hopefully they’ll re-release it some time soon! 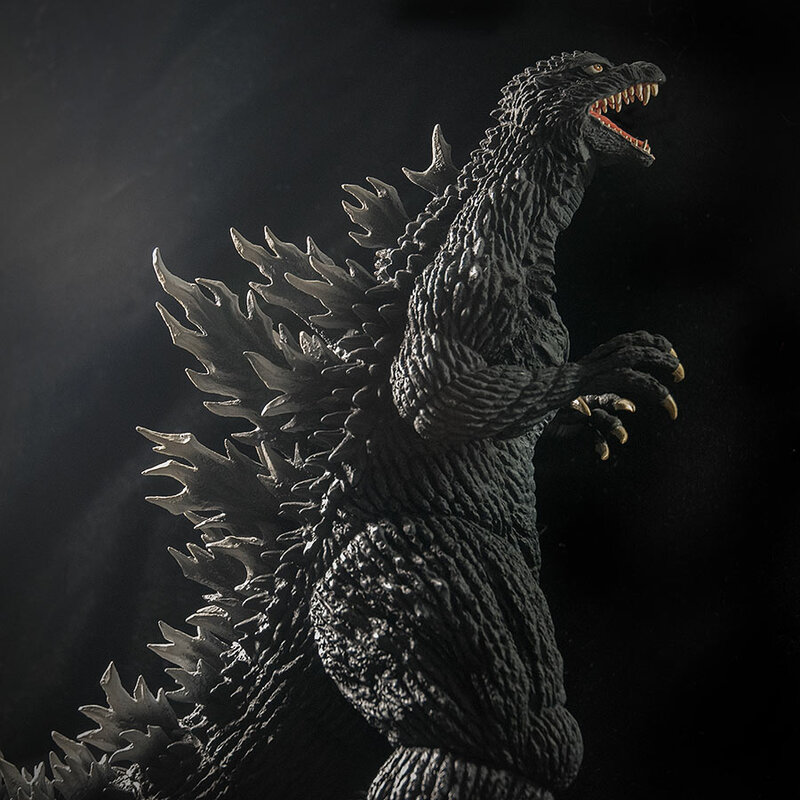 !If this is impressive looking I can’t wait to see the finished painted version of Godzilla 2000,which I preordered from bigbadtoystore.com for only $260,can’t wait for it to come in! !Thanks to Kaiju Addicts and Ric Eso’s youtube video reviews I’m slowly starting my X Plus collection now!! $260? Yowza! 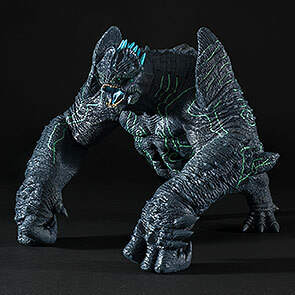 Hobby Search has it for $155. Even with shipping from Japan, that should still come in under $200.